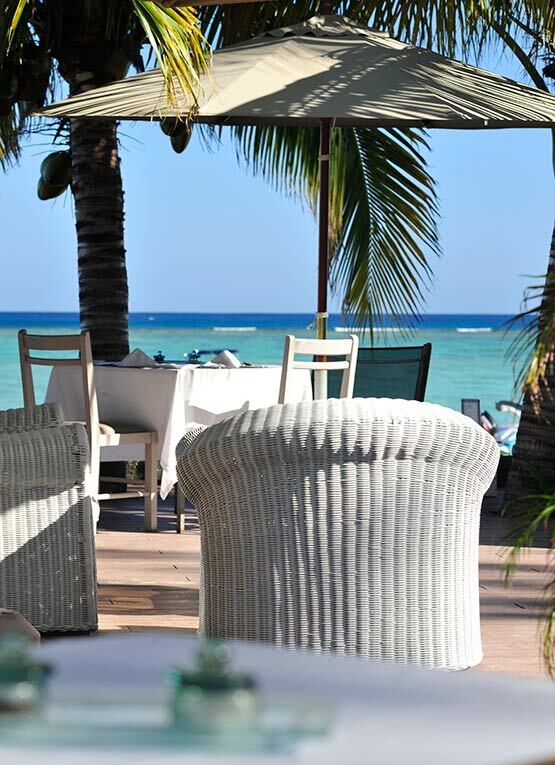 Overlooking the ocean and only a few steps away from the sand, guests come to enjoy our authentic Mauritian menus and locally crafted drinks. 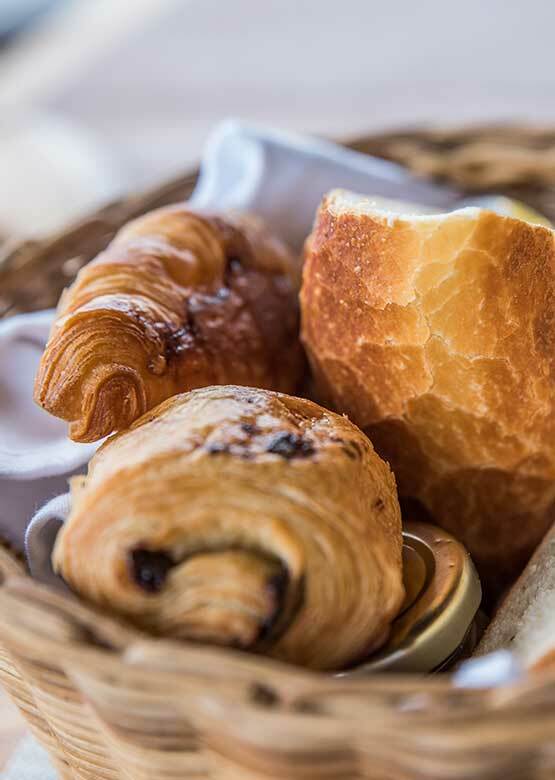 Open through the day for breakfast, lunch, snacks and dinner, our restaurant offers the perfect spot to enjoy some fresh, locally sourced delicacies while taking in the beautiful surroundings of La Preneuse beach and the Black River coastline. In the evening, The Bay restaurant welcomes guests to an intimate, candlelit atmosphere, proudly serving a fusion menu that captures the soul of this incredible island. The bar is open from 10 AM to 11.30 PM and offers complimentary Wi-Fi. Casual smart dress code for dinner. Restaurant capacity: 60 guests. 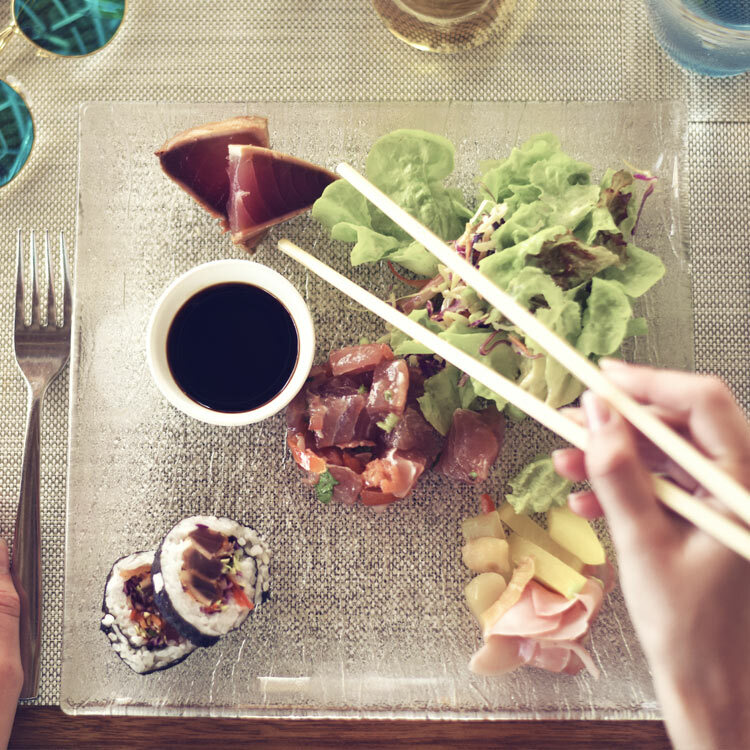 From the fresh fish of the Mauritian seas to spiced, curried Creole dishes and a range of specialities from Europe, our menu celebrates the multi-cultural roots of our home. Our Chef, the talented Dominique Perianen, joined our team after over 20 years of experience at some of the most admired luxury resorts in Mauritius, bringing his imagination and warmth to our guests every day through a range of daily specials and creations. On Friday and Saturday live musicians set the ambiance for a great evening. 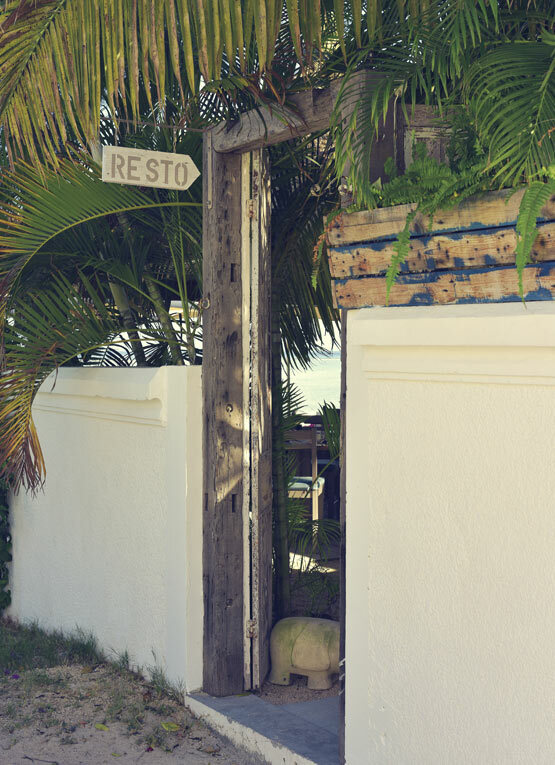 Discover our menus, all served just a few short steps away from the Ocean. 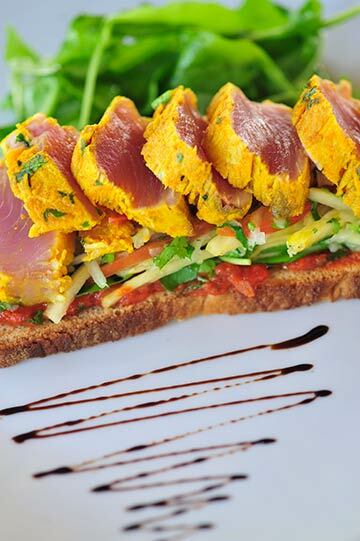 Scrumptious dishes for breakfast, lunch and dinner are served in splendid tropical settings. Guests can choose between our Continental, English and à la carte menus. 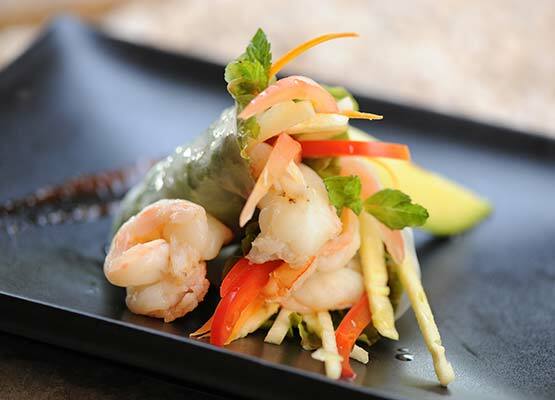 The lunch menu offers a large choice of delicious light meals, salads, local dishes and grilled meat & fish. At dinner, à la carte dishes can be ordered. 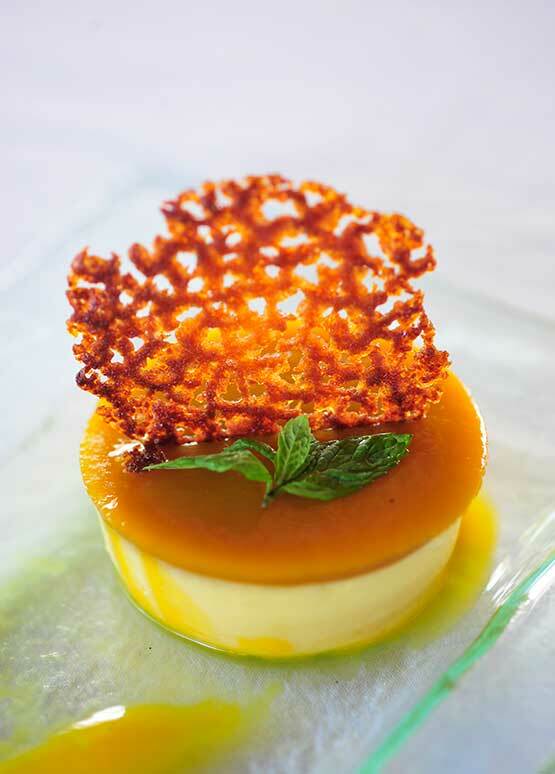 Our half-board guests will enjoy a starter, main course and dessert created daily by our chef. Two decent glasses of rose accompanied a good cesar salad with seared tuna, and innovative feta salad with grilled fruit. Unobtrusive yet attentive service, right on the beachside. Ate here 3 times while on holiday. Food and service great every time. Good value as well. Probably the best sundowner spot in Mauritius. We returned on a few occasions during our vacation for the view plus the great cocktails and fine food. Every dish was fresh, well prepared and delicious. So charming and great relax atmosphere, fantastic friendly service and great food just in front of the sea, so romantic!! By far the nicest restaurant experience during our stay in Mauritius. A beautiful location by the beach, hidden from the traffic and noise. Absolutely wonderful service. People working there are so service minded, nice, smiley and they simply care about the guests at all times. The food was delicious and their mojito! Amazing! We actually came back and it was even better. Super friendly atmosphere, beautiful design and location, delicious food and drinks! What else do one needs? 😄 Highly recommended! The restaurant is a relaxing and idyllic place to sit and enjoy the wonderful views and excellent food.